Björn Alegren began his career with Scandinavian Airlines after his military service and various schools in 1973. Over the next 35 years, he worked his way up the ladder. He has held positions such as Project manager New Domestic Terminal Stockholm, Manager OPS Center, Station Manager Stockholm, Director Internal Services, Several General Manager/Regional Manager positions abroad. V.P SAS International, Head of SAS Group Purchasing, President & CEO European Aeronautical Group, President & CEO Scandinavian Ground Services. Ten years ago he joined the UK consulting firm NYRAS and at the same time set up his own firm Avialink. During that time he worked on a major M&A project involving two major legacy airlines in addition to many other projects. He has a special eye and talent for restructuring and increased efficiency projects. Education: University and INSEAD courses. Other training sessions: Military/ Airforce. Captain in the Airforce reserve. Many courses and training during his 35 years at Scandinavian Airlines. Countries of work experience: Lived and worked in the US, Japan, Germany and Portugal in addition to home country Sweden. 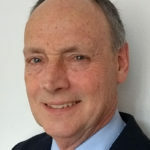 Björn Alegren joined CBA as Business Adviser / Consultant in Sweden in March 2019.